Honour. Courage. Commitment. Those are the words proudly etched into this USMC 16.5 Inch Kukri Machete and Sheath only from United Cutlery. 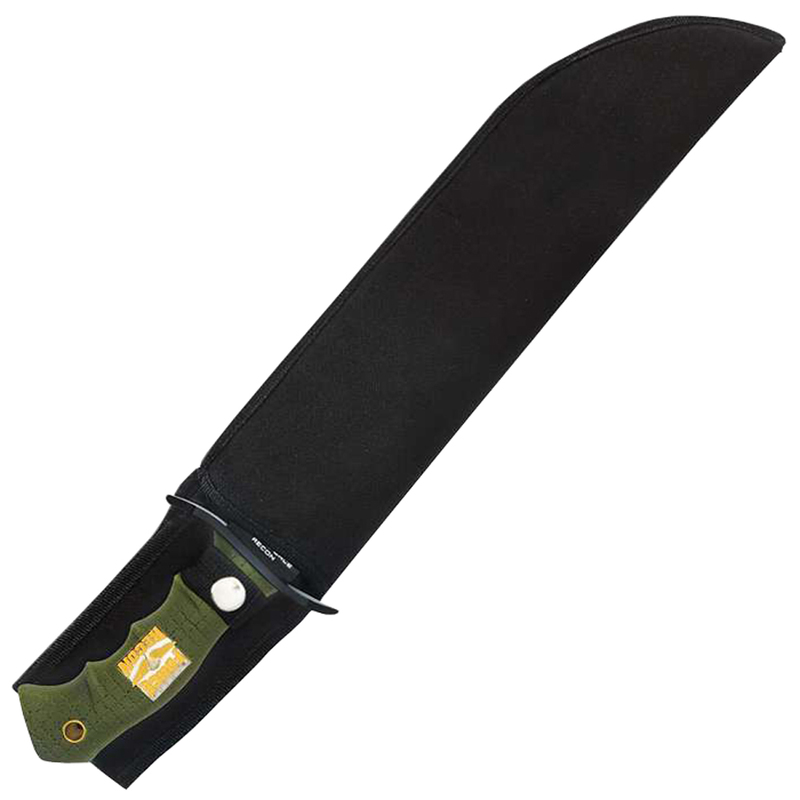 This powerful stainless steel blade features a curved edge and razor-sharp serrations on its backside. The rubberized handle provides a superior grip and is emblazoned with the Marine Force Recon medallion. 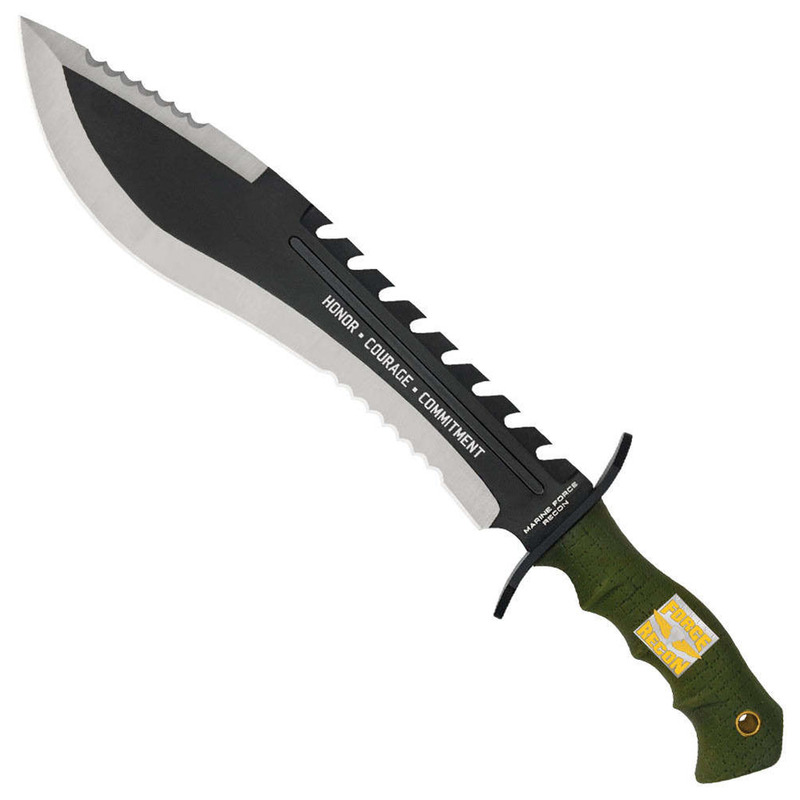 The 11 1/2 inch blade meets a thick, oversized hand guard to protect your hand as you wield this mammoth blade. Measures 16 1/2 inch overall. Includes nylon belt sheath.